Getting too little sleep on a regular basis is just a fact of life for many people. It might be because there just aren't enough hours in the day to go to work, do chores, take care of the family, and squeeze in some downtime--limiting what's left to only a few hours a night for slumber. Others experience insomnia and have trouble falling or staying asleep. But whatever the reason you are not getting enough shuteye, it can lead to exhaustion and poor concentration during the day. And now, new research suggests that insufficient sleep may be linked with potentially serious kidney problems. The study, which took place at Brigham and Women's Hospital in Boston, Massachusetts, found that women who do not get an adequate amount of nightly sleep may be at higher risk for a decline in kidney function over time.1 The subjects were 4,200 adult women who were involved in the Nurses' Health Study, a longitudinal investigation (in which data is gathered for the same subjects repeatedly over a period of time) focused on various health issues. In the current research, they were tracked for 11 years. During this period, they had physical examinations that included at least two kidney function tests. The scientists analyzed the results of the kidney screenings against the reported sleep habits of the participants. Those who slept for five hours a night or less were shown to have a 65 percent greater chance of having a rapid decline in their kidney function compared to their peers who typically slept between seven and eight hours each night. 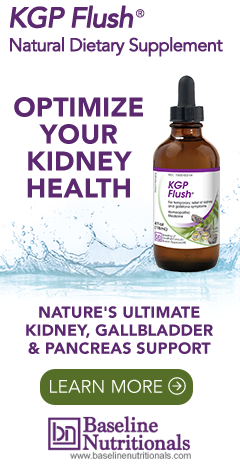 Since the kidneys help regulate body fluids and filter waste products, this type of decline in kidney function can result in fluid imbalances and a build-up of waste products and medications in the body because they are not processed and eliminated thoroughly. All of this adds up to some very troubling news since so many people are shortchanged on sleep these days. According to the Centers for Disease Control and Prevention, nearly 30 percent of American adults average six hours of sleep per night or less.2 In the early part of the 20th Century, adults were averaging between eight and nine hours of sleep each night, so we have really plummeted in terms of slumber duration. The study was not designed to prove cause-and-effect, only an association between lack of sleep and kidney problems. Therefore, we cannot say for certain that the kidney decline results from inadequate sleep among the volunteers based on these findings. However, the results do certainly point to a strong association considering the high percentage of kidney function issues in those who got little sleep. As we have discussed a number of times before, this is not the first evidence of lack of sleep being tied to health conditions, either. Studies have shown that getting fewer hours of sleep is linked with cardiovascular disease, diabetes, obesity, and higher mortality rates. It is not completely clear why insufficient sleep has these negative effects or whether they can be reversed once they're put in motion, but it is possible that they may be related as diabetes and high blood pressure are both risk factors for decreased kidney function. At any rate, getting a little more sleep every night is probably a good goal to shoot for, especially if it may help prevent the development of kidney disease and other conditions. You may need to make a few lifestyle adjustments to improve your sleep habits, though. Caffeine is a major culprit in insomnia, so cut back on your intake and try to consume it only early in the day since having caffeine after 2 PM may contribute to trouble sleeping. And it's not just coffee you have to think about; read labels and stay away from caffeinated sodas, teas, and energy drinks in the afternoon and evening because these can all be major sources as well. Another common sleep disruptor is using electronics before bed. Whether it's your phone, computer, tablet, or television, the light emitted from the screen has been shown to affect the quality of your sleep. So keep all of these devices out of the bedroom. And to promote better sleep, try a warm bath or doing some gentle stretching to get relaxed and ready for a restful night.